While the prospect of finals may be sending all of campus into a frenzy, Lawrence for Psychological Health is gearing up to bring everyone’s stress and anxiety levels down. On Saturday Nov 17, the night before finals, the club will be hosting an event at Sabin house meant to give Lawrentians an opportunity to take a brain break before charging into the intensity of finals. Board member Jessica Robyns explained, “The event is just an opportunity for people to get together and de-stress a little before finals, and to think about their mental health … I know people get really focused on studying and tend to forget to feed themselves, sleep enough, drink enough water, exercise and take breaks, so we’re trying to break apart that mentality by creating this event where people can go and just have a good time.” From 5:30 to 8:00 p.m. on the 17th, students will be welcomed to Sabin house where pizza will be made, music played, and stress balls and coloring books offered. Lawrence for Psychological health meets every Thursday at 7:00 p.m. in Sabin house to discuss future actions and to simply provide a safe space for people to discuss issues relating to mental health in a safe space. It is a space for students to relax, support each other and meet people they may not have otherwise interacted with. The overall goal of Lawrence for Psychological Health is to aid and support students who struggle with mental health while attending Lawrence. While Lawrence for Psychological Health has done activities in the past like sending out awareness ribbons individually to each student’s mailbox, this will be a first time event for the group, and they are excited for the opportunity to help change the unhealthy mentality towards test preparation at Lawrence. 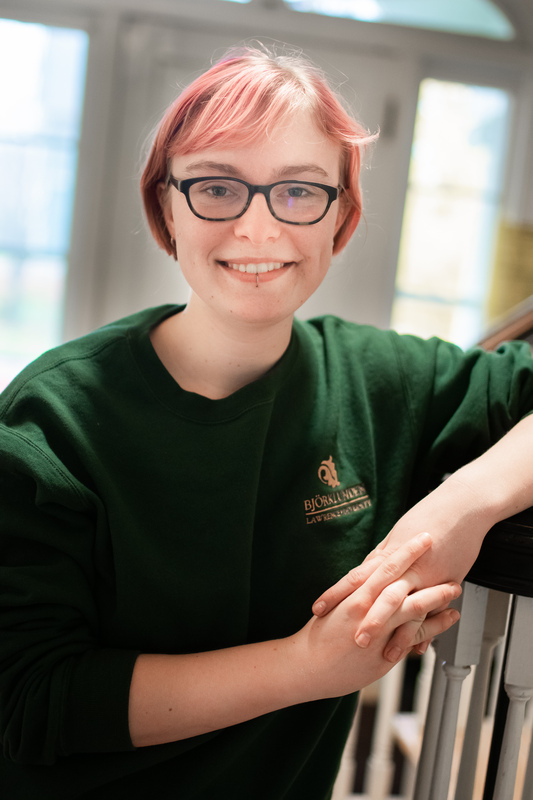 Robyns feels that mental health is not addressed properly at Lawrence, and stated, “It’s discussed on campus, but I talk to a lot of people who will say, ‘Yes, I think mental health is important,’ but they’re not really taking the steps to take care of their own mental health or thinking about it on a broader scale.” Robyns pointed out some simple actions students can do to help, such as exercising regularly by attending the yoga classes held four times a week, taking advantage of the Wellness Center or attending weekly meditation. So as 9th and 10th week fly by, don’t forget to make a little time to take care of yourself. Before finals, try and balance studying with normal day-to-day needs such as eating and sleeping so that by the time the tests come, you’ll still be in good condition to conquer them. And be sure to stop by Sabin house the night before finals for food and fun to start the end of term on a high note.